the world’s only treaty that regulates trade in imperiled wildlife. Held only once every two to three years, the Conference of the Parties to the Convention on International Trade in Endangered Species, CITES, gets underway March 3 in Bangkok, Thailand. Until today, there were only 177 Parties to the treaty, but now there is one more as the CITES Secretariat welcomed Lebanon as the 178th Party. Under the treaty, CITES protects some 5,000 species of animals and 29,000 species of plants against over-exploitation through international trade. CITES works by requiring that all import, export, re-export and introduction of species covered by the treaty is authorized through a licensing system administered by each national government. At the upcoming Bangkok meeting, the United States proposes to ban trade in polar bears and their parts, says U.S. Fish and Wildlife Service Director Dan Ashe, who will lead the U.S. delegation to Thailand. The commercial trade in polar bear parts is increasing in volume and in value. Parts from between 400 and 500 polar bears a year are placed in trade, globally, Ashe said, citing data from the International Union for the Conservation of Nature. The value of a single polar bear pelt has increased in value from $2,000 to $5,000 over last few years and a new record of $12,000 paid for a single polar bear pelt was set recently, he said. 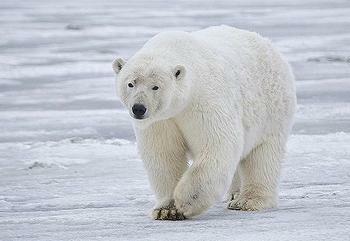 Going into the conference, of the five polar bear range states, only Russia supports the U.S. proposal. Canada and Greenland are opposed. “The fifth range state is Norway which I think is undecided,” said Ashe. The United States also brought a polar bear protection proposal forward at the last conference of the CITES Parties in Doha, Qatar in March 2010. For the first time the United States is making a joint proposal with China – two proposals, in fact – one for protection for a group of freshwater box turtles, and another for a separate group of softshell turtles. These species are in decline or threatened due to overexploitation for trade and habitat degradation, as well as poor implementation of existing protection and management measures. 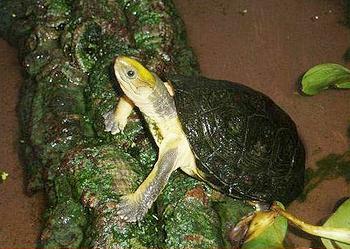 Vietnam and the United States are cosponsoring two turtle protection proposals as well. The Conference of the Parties will be considering 70 proposals to increase or decrease controls on international trade in wildlife and wildlife products, submitted by 55 States from around the world. In total some 320 species are affected by these proposed changes, including the African elephant, white rhinoceros, several shark species and the manta ray in demand for luxury banquet foods, frogs, crocodiles, valuable tropical timbers, ornamental and medicinal plants and many other animals and plants. Some high profile conservation groups are urging CITES governments to begin a formal procedure that would lead to strict trade restrictions against the worst offenders in the illicit ivory trade. WWF and its allied wildlife trafficking monitoring organization, TRAFFIC, cite evidence that Thailand, Nigeria and the Democratic Republic of the Congo have failed repeatedly to address their rampant domestic ivory markets despite CITES rules that outlaw the unregulated sale of ivory. Under treaty rules, CITES member states can recommend that parties stop trading with non-compliant countries in the 35,000 species covered under the CITES convention, from timbers to crocodile skins. Thailand, the host country for the CITES conference, is one of the world’s largest unregulated ivory markets, the groups point out. “Criminals are taking advantage of Thai laws allowing the sale of ivory from domestic elephants to launder massive quantities of illegal African ivory through Thai shops. 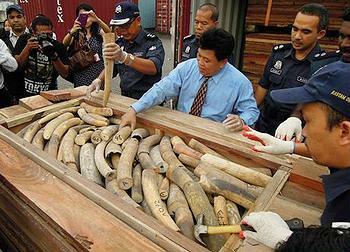 Much of this ivory is purchased by foreign tourists,” the two groups said in a statement today. “Thailand can easily fix this situation by banning all ivory sales in the country, and in doing so would eliminate the need for trade sanctions,” said Carlos Drews, director of WWF’s Global Species Programme. “WWF is petitioning the Thai prime minister for an immediate ban on ivory trade,” said Drews. WWF today handed a global petition calling for the ban on ivory trading in Thailand to Prime Minister Yingluck Shinawatra. The petition, with over 500,000 signatures from more than 200 countries and territories, is part of a WWF and TRAFFIC campaign calling for an announcement by the Thai Prime Minister to ban all ivory sales in Thailand.